I haven't been able to draw a comic lately because we're currently in the process of selling our house. Things have been a wee bit chaotic as a result. 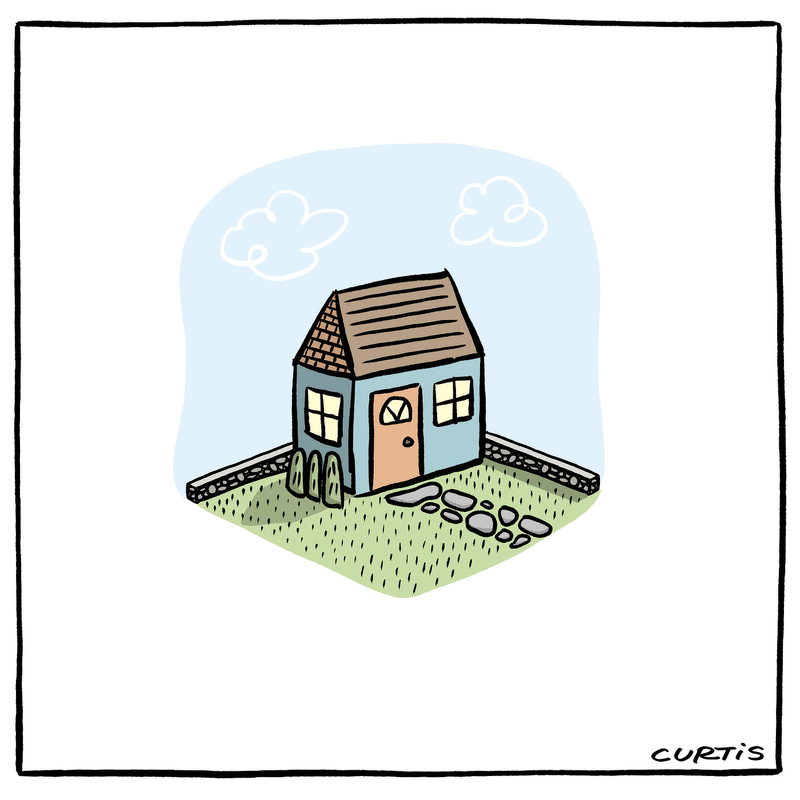 However, I did manage to quickly doodle this little home.